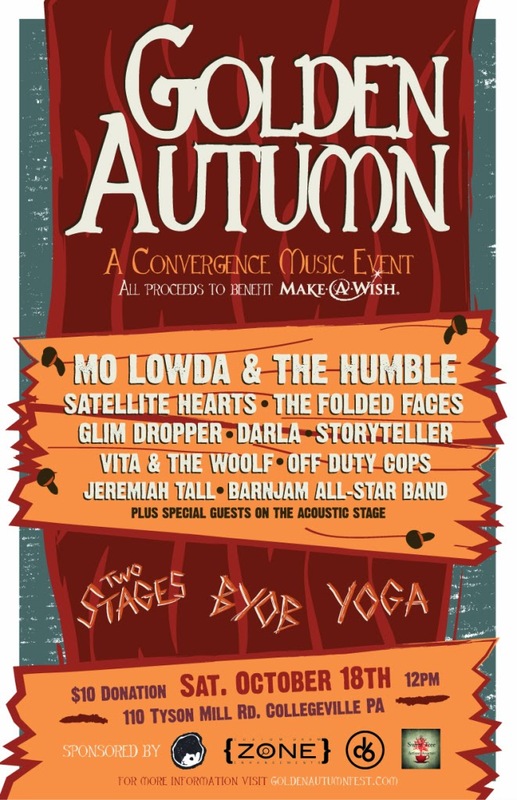 Golden Autumn is a one-day music festival and charity event taking place on Saturday October 18th in Collegeville, PA. All proceeds will benefit the Make-A-Wish Foundation of Philadelphia and Susquehanna Valley. The event will feature two stages, vendors, yoga, byob, and 10+ bands from Philadelphia, Collegeville, and the neighboring areas. Guaranteed to be a great time for a great cause. For more information, visit their website at www.goldenautumnfest.com or their Facebook event page.